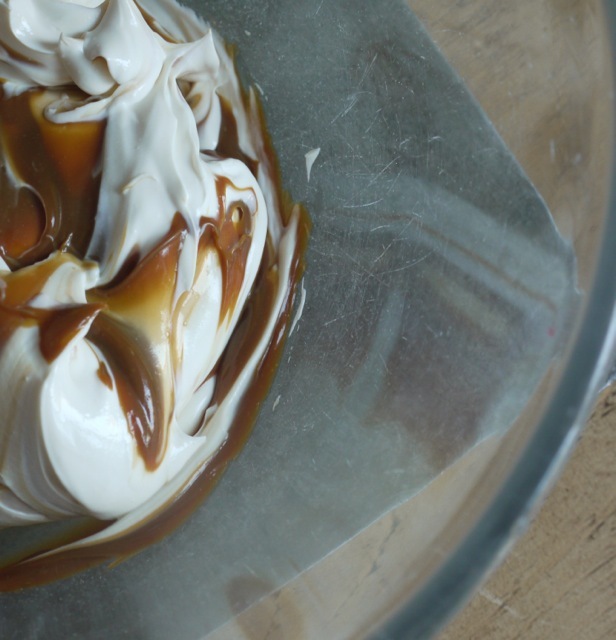 Milk caramel, cajeta, dulce de leche or manjar; whatever you call it, sweetened caramelized goat or cow’s milk makes an excellent addition to a cheesecake. Today we’re celebrating so the cheesecake in question contains a whole jar of the sweet stuff, but before we talk recipes let’s focus on the reason for those celebrations. My cookbook, Homemade Memories, hits the shops in four weeks and my lovely publisher is giving everyone who pre-orders it the chance to win an amazing bundle of baking goodies (hurrah!). The goodies in question are hand-picked by me and some of my all-time favourite bits of baking kit. 1. Digital scales, because accuracy in baking is essential. If you currently measure with cups or by eye, this set of scales will change your life. 2. Set of metal measuring spoons, again accuracy (see above). 3. 20cm round loose-bottomed cake tin from Alan Silverwood for perfect sponges every time. 4. 1 kg loaf tin, also Alan Silverwood, for little loaves, loaf cakes and the chocolate honeycomb biscuit cake in the book. 5. 4 x dariole pudding moulds, perfect for sticky toffees, chocolate fondants, crème caramels and more. 6. Silicone ice cream bar moulds, my secret weapon for professional looking homemade Magnum-style ice creams. 7. A pretty pink silicone spatula for all your folding, chocolate melting and sweet making needs. 9. 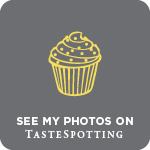 Bourbon biscuit stamp – a bit of fun for making your very own branded tea-time treats. 10. 1 x jar of my homemade strawberry, plum and vanilla jam, for sponges, swiss rolls or spreading on toast. 11. 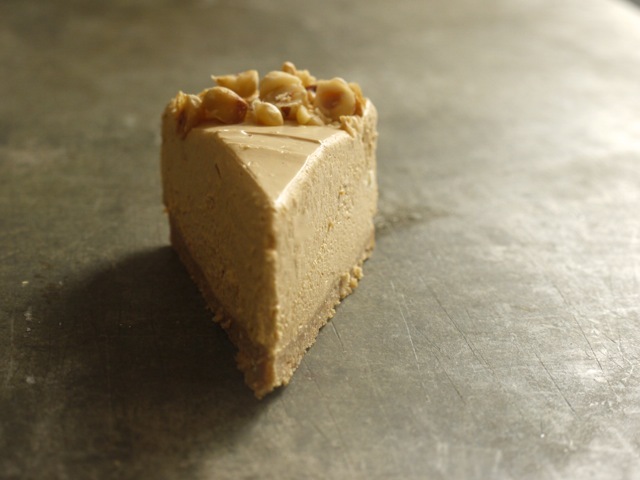 1 x jar of my homemade goat’s milk caramel for spooning straight from the jar or to make this epic caramel hazelnut cheesecake (see below). 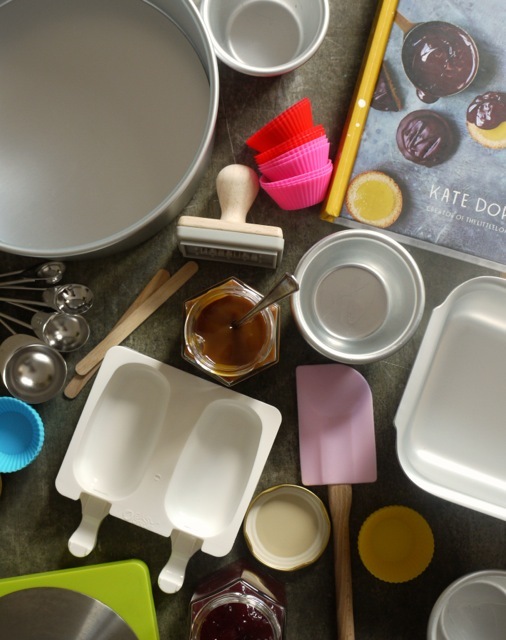 To be in with a chance of winning this amazing set of baking equipment, all you have to do (please and thank you) is pre-order Homemade Memories then email your proof of purchase (an email, screen grab or order number) to homemadememoriespreorders@orionbooks.co.uk before 31st May. The way I see it, it’s a win-win situation. Hit the jackpot and there’s hundreds of pounds of baking kit coming your way; if you’re quick off the mark you’ll get a lovely tub of organic dairy goodness; and even if you’re not in that top fifty, you’ve got a copy of my book to look forward to (!). Plus a pledge of my undying love and gratitude goes without saying. Now let’s talk cheesecake. I made extra quantities of homemade hobnobs and milk caramel (both recipes from the book I’m hoping you’ll pre-order) with the Salt Caramel Cheesecake from Annie Bell’s Baking Bible in mind. A no-bake affair, it’s rich with mascarpone: the perfect creamy vehicle for sugar and salt. 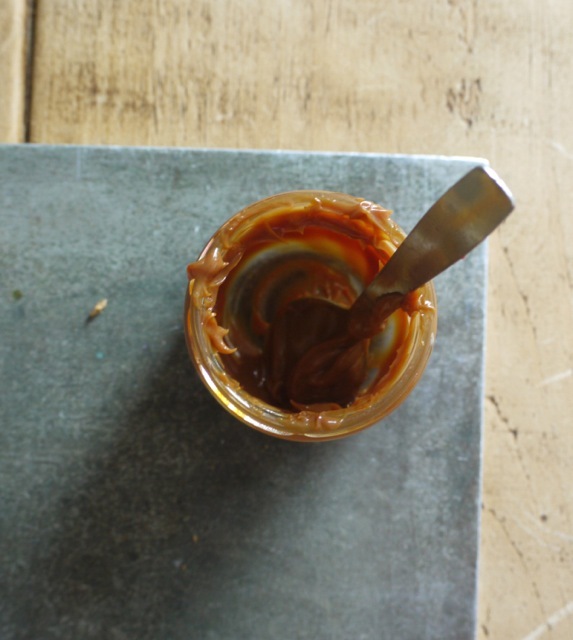 A teaspoon of black treacle adds a brown-sugar sweetness and the whole thing sits atop a buttery biscuit base. I browned the butter because I. CANNOT. RESIST and added toasted hazelnuts for extra flavour and crunch. The homemade biscuits and caramel make this cheesecake over-the-top delicious, but until your copy of the book arrives (presumptuous, who me?) the shop bought alternative will absolutely do. Serve in delicate slices with seasonal fruit to cut the richness – it’s now officially strawberry season so that would be my accompaniment of choice. *The baking goodies giveaway is open to readers worldwide, but I’m afraid the Rachel’s Organic products are available for UK readers only. 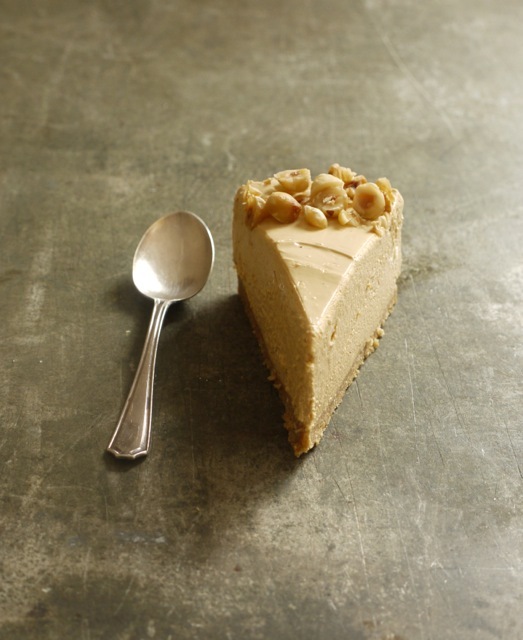 A simple no-bake caramel cheesecake with notes of brown sugar. I like to serve this with fresh strawberries or raspberries to cut through the richness. Preheat the oven to 170 degrees C. Line the base of a 20cm round spring form tin with baking parchment. Spread the hazelnuts out on a baking tray and toast for 8 - 10 minutes until light golden brown. Remove from the oven and allow to cool completely. Melt the butter in a small saucepan then continue to cook until golden and nutty. Allow to cool completely. In a food processor, blitz the hobnobs and 20g toasted hazelnuts to a coarse powder (store the remaining hazelnuts for serving). Stir into the browned butter, then press evenly nto the base of your prepared tin. Place the gelatine in a medium sized bowl, cover with cold water and leave to soak for 5 minutes. Drain off the water, add 2 tablespoons of fresh water and a pinch of salt, then stand in a second bowl of boiling water. Stir for a few minutes until the gelatine dissolves. 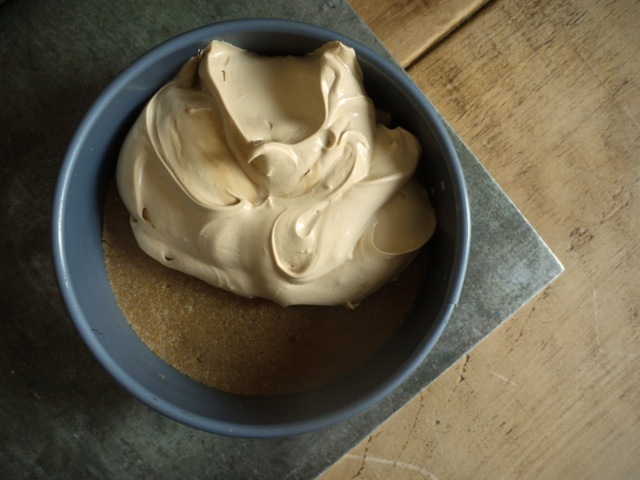 In a large bowl, beat together the mascarpone, dulce de leche and treacle until smooth. Blend 3 tablespoons of this with the gelatine solution, one spoonful at a time, then add back to the rest of the cream cheese mixture and beat until smooth. In a separate bowl, whisk the cream until soft peaks form. Fold into the cream cheese mixture in two batches then carefully pour over the crust, smoothing the surface flat. Cover with cling film and chill for several hours, or overnight, until set. Run a knife round the collar of the tin and remove it. Slide the cheesecake off the base and onto a serving plate or stand. 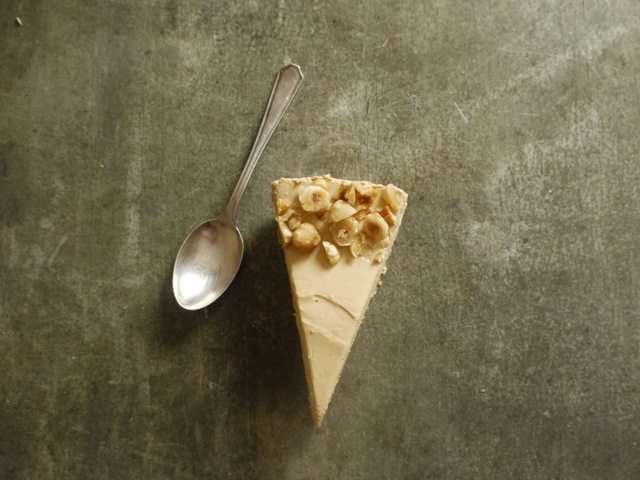 Coarsely chop the remaining toasted hazelnuts and scatter round the edge of the cheesecake. Cut into slices and serve with fresh fruit, if you like. Very barely adapted from the Salt Caramel Cheesecake in Annie Bell's Baking Bible. 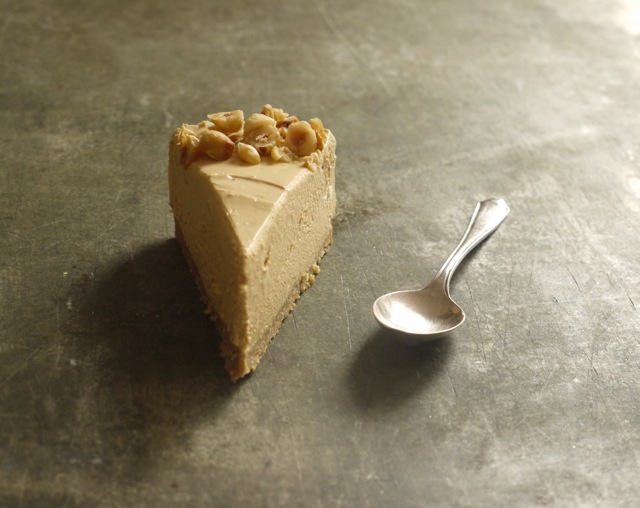 This cheesecake looks amazing… so smooth and creamy! Can’t wait to get my hands on a copy of your cookbook!!! Congrats, Kate!! !!!! I can’t believe it’s only a month to go, I’m so excited for you!! (Plus I want to dive headfirst into this cheesecake). Haha, that would be messy but very delicious! These cheesecake looks wonderful! So beautifully smooth and creamy. This recipe looks amazing as do lots of them on your site. Have just pre-ordered your book and looking forward to its arrival. Congratulation, it’s well deserved. A big congrats on your upcoming book release, cheesecake is the perfect way to celebrate! Wow, congratulations on your book! I wish you all the success in the world, and this cheesecake- swoon! So many of my favorite things all rolled into one magnificent creation! Wow, that is quite the baking bundle indeed! I absolutely love the looks of this cheesecake with all that caramel goodness! I’m wondering if I could swap out the gelatine for agar agar or leave it out to attempt a vegetarian friendly version. I’ll have to give it a try and report back with the results!